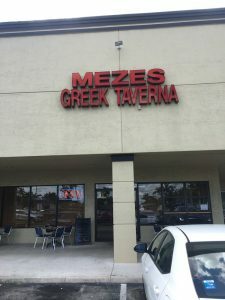 ***** Mezes Greek Taverna, 10040 Pines Boulevard, Pembroke Pines, Florida 33024, (954) 430-1725. 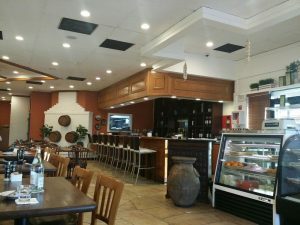 Got an absolutely dynamite Greek joint for you guys to check-out, Mezes Greek Taverna In Pembroke Pines. 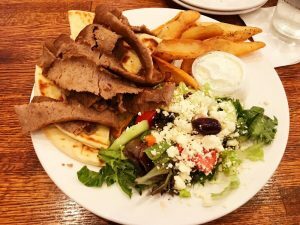 Simple tale to tell… last night, Jeff Eats, Mrs. Jeff Eats, Daughter Jeff Eats and Son Jeff Eats “discovered” Mezes Greek Taverna and I gotta tell you- its reasonably priced big portions of delicious food and service killed! 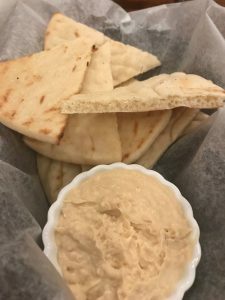 Full boat of expected Greek appetizers/entrees/desserts menu, indoor booth/table/wine bar counter seating, outdoor table seating, open Sunday-Thursday 11am-10pm/Friday-Saturday 11am-11pm. For sure, nothing highfalutin going on at Mezes Greek Taverna (trust me- your shorts/tee shirt sneaker ensembles will definitely work) that said, Mezes Greek Taverna is definitely one of the best Greek joints that Jeff Eats, Mrs. Jeff Eats, Daughter Jeff Eats and Son Jeff Eats have eaten in- down here in Florida! 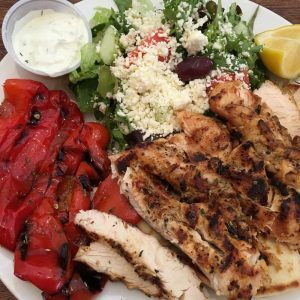 Let’s rate Mezes Greek Taverna an absolute must-try! This contest started on 4/24/19. * Win A $10 The Habit Burger Grill Gift Card. 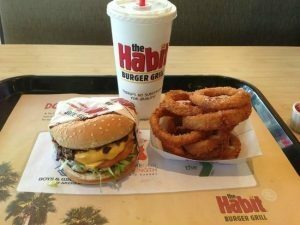 The $10 Gift Card is good at any The Habit Burger Grill location (habitburger.com for locations, menu, prices, info). * The Mersey Beatles: Four Lads From Liverpool. Real simple tale- one of the best Beatles’ tribute bands in the world! Born on the banks of The Mersey – crafted in the historic cellars of The Cavern Club – The Mersey Beatles have been rocking sold-out audiences around the globe since 1999. 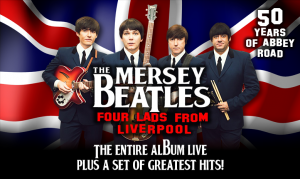 Today, they are rightly regarded as THE WORLD’S BEST-LOVED LIVERPOOL-BORN BEATLES TRIBUTE… just ask the hundreds of thousands of fans who have seen them over the last 20 years! The Mersey Beatles were not dreamed up, or cynically manufactured, by a theatre empresario or West End producer… these lads are THE REAL DEAL! They are proudly four mates whose passion for the greatest band of all time shines through in every one of their brilliant shows. Mark Bloor, Steven Howard and Brian Ambrose (that’s John, Paul and Ringo) attended high school together in Liverpool. Craig McGown (he’s the baby of the band and the ‘quiet one’) completes the line up as George. The Mersey Beatles were the resident Beatles’ tribute at the world-famous Cavern for more than a decade between 2002-2012. They clocked up 600+ performances under the famed Matthew Street arches – almost twice as many gigs there as the original Fab Four played themselves. Since leaving to tour the world, they have taken their pounding, pulsating and unmistakable ‘Mersey Beat’ to excited and sold-out audiences across Europe, USA, Asia and Australia. While receiving world-wide plaudits (including glowing praise from members of The Beatles’ own families), The Mersey Beatles have never forgotten their roots and pride themselves on presenting the Fab Four in a most authentic and truly Liverpool-born way. Just like the audiences they play to at their sold-out theatre, arena and festival shows – the band are all die-hard Beatles fans. Every song and every moment are a celebration of the best pop music ever, from the ‘Mop Top’ hits of Beatlemania, through the psychedelic creativity of Sgt. Pepper to the melodic wonder of the Fab Four’s later work. All shows are brilliantly brought to life by a band who exude the inner and outer spirit of the real thing, from the costumes, instruments, Scouse charm and, of course, that wonderful era-defining, Mersey sound. So, get on board for The Mersey Beatles’ hit show, presented in the most authentic way you will ever see. It goes without saying you’ll have a FAB time! This contest started on 4/23/19. This contest has a winner. The game- the first 10 “reader-comments” received – will be entered in a “blind hat pick”! You can submit as many comments as you’d like but- Please, only 1- reader comment – per day…play fair! This contest started on 4/19/19. This contest has a winner. 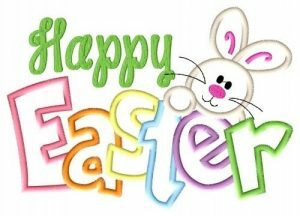 *Win A $20 Zinger’s Deli Gift Card. Jeff Eats got a $20 Zinger’s Deli Gift Card for one of you guys! The $20 Gift Card is good at Zinger’s Deli, 20642 State Road 7, Boca Raton, Florida 33498, (561) 488-9606. 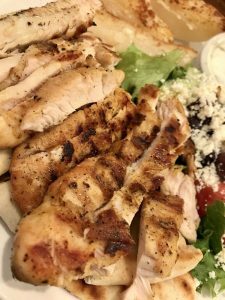 Check zingersdeli.com for menu/prices/info. ***** Zinger’s Deli, 20642 State Road 7, Boca Raton, Florida 33498, (561) 488-9606. 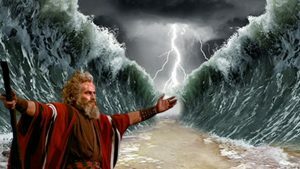 Now, follow the story- for the past 7 1/2 years, Jeff Eats has been raving about and telling you guys as to how good- full service Zinger’s Delicatessen, 7132 Beracasa Way, Boca Raton, Florida 33433, (561) 826-7323 was/is- as a matter of fact, (imho) Zinger’s Delicatessen has to be rated as one of the best (if not-the best) New York Kosher Style Delis in the State of Florida! Anyway, something like 5 months ago- Zinger’s Delicatessen’s owners, Gary and Joe- opened Zinger’s Deli a fast food/ order-pickup at counter/ soup, salad, sandwich, other stuff menu/ inside table seating- New York Kosher Style Deli on State Road 7 about a half mile from their original-Zinger’s Delicatessen. Anyway, yesterday afternoon- Jeff Eats, Mrs. Jeff Eats, Daughter Jeff Eats and Son Jeff Eats ate lunch at Zinger’s Deli and I’m telling you guys that the joint’s food was off the chart dynamite delicious! 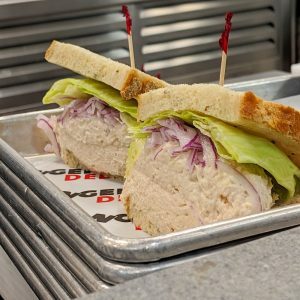 Let me wrap Zinger’s Deli up by saying- if you’re looking for outrageously delicious reasonably priced New York Kosher Style Deli Food in a fast food setting- you now know where it’s being served. You can check-out menus/prices/info for both Zinger’s Deli and Zinger’s Delicatessen at ZingersDelicatessen.com. Zinger’s Deli is open 7 days a week 11am-8pm. 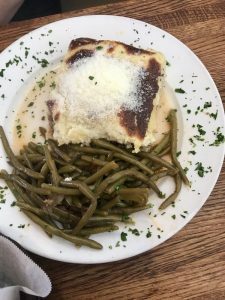 ***** DISH OF THE WEEK (Sunday-4/21/19- Sandwich Inn). Maybe a drop over dramatic- having eaten at Sandwich Inn should be on everyone’s Bucket List! ***** Sandwich Inn, 110 Northeast 16th Avenue, Gainesville Florida 32601, (352) 376-0924. 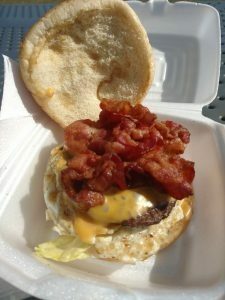 Got a fast food- burger/ sandwich joint that you guys gotta checkout, Sandwich Inn in Gainesville. Simple concept working here- order & pickup at walk-up window/ drive-thru, no indoor or outdoor seating, menu of very reasonably priced-breakfast items/ burgers/ sandwiches/ subs/ scooped ice cream. 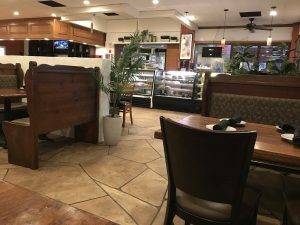 Yesterday, Jeff Eats and Mrs. Jeff Eats found- Sandwich Inn and the joint’s food and 1960’s vibe (Sandwich Inn opened in November, 1960) blew us away! Trust me on this one, off the chart delicious stuff! Let me wrap Sandwich Inn up for you guys by saying- this joint absolutely killed! 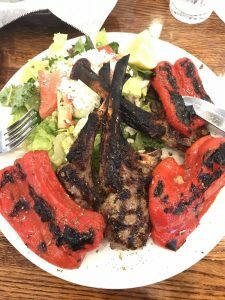 No frills, no drama- dynamite food! Sandwich Inn is open Monday-Friday 6am-5pm/ Saturday 7am-4pm/ closed Sunday. You can check menu/prices info at sandwichinngnv.org. This contest started on 4/16/19. This contest has a winner. 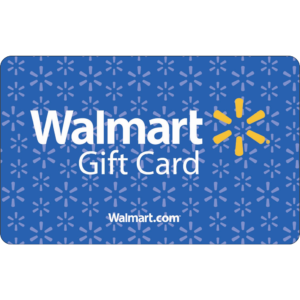 * Win A $25 Walmart Gift Card. 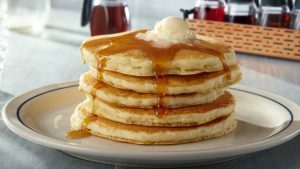 The $25 Gift Card is good at any Walmart location (walmart.com for locations, info). “How big is your army?” the president asked. “I have a million in my army,” said the president. “I’ll call back!” said Mendel. 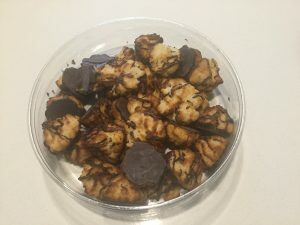 ***** Haddar Chocolate Drizzled Coconut Macaroons. Haddar Chocolate Drizzled Coconut Macaroons, 32 oz. Haddar Chocolate Drizzled Coconut Macaroons is all natural, gluten free and is manufactured in a nut free facility. 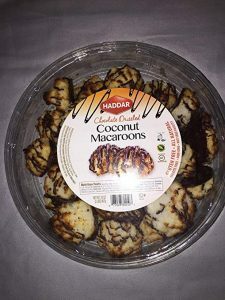 The above pictured package of Haddar Chocolate Drizzled Coconut Macaroons (32oz) was purchased yesterday at Costco Wholesale, 17800 Congress Avenue, Boca Raton, Florida 33487, (561) 981-5004- for $7.99. Like I said a few seconds ago, off the chart delicious! A quick GOOGLE- will turn-up the names/info of retailers who carry Haddar products in Florida.